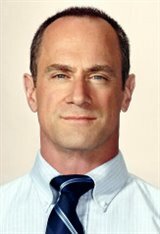 Born in Washington D.C., Christopher Meloni described himself as a bit of a terror when he was younger, telling People magazine: "I did some bad things — a little vandalism, stealing stuff. I was the guy whose parents always had to come in for meetings at school." Luckily he decided to get into acting during his time in college as he has enjoyed a long, eclectic and successful career as an actor on both television and the silver screen. Getting his first major gig in the 1989 HBO show 1st & Ten, Christopher wouldn't make his debut in a feature film until 1994's Clean Slate, playing a bodyguard opposite Dana Carvey. Since then, Christopher has remained a constant in television and film alike. Throughout the '90s, Christopher would have roles in popular films such as 12 Monkeys, acting alongside the likes of Bruce Willis and Brad Pitt; Fear And Loathing In Las Vegas starring Johnny Depp and Benicio Del Toro; and playing Julia Roberts' jilted ex in Runaway Bride . However, TV would prove to be where he would find the most notoriety as it was in 1998 and 1999 that Christopher took on his two most recognized roles: psychopathic killer Chris Keller on Oz and altruistic Detective Elliot Stabler on the series Law & Order: Special Victims Unit. It was these two opposing roles that really showcased Christopher's talents as a diverse actor and would make him a household name. He even earned an Emmy Award nomination in 2006 for his role as Elliot Stabler on Law & Order: Special Victims Unit. While playing these heavy roles on the small screen, Christopher would land lighter-hearted roles in popular films such as the 2001 cult comedy classic Wet Hot American Summer and 2004 stoner comedy Harold & Kumar go to White Castle . Christopher would work on HBO's Oz until the series' end in 2003, and he would later leave his role on Law & Order: Special Victims Unit in 2011 to the heartbreak of fans and fellow actors. Series colleague and close friend Mariska Hargitay said in a statement about Christopher leaving: "For the past 12 years, Chris Meloni has been my partner and friend, both on screen and off. He inspired me every day with his integrity, his extraordinary talent and his commitment to the truth. I love him deeply and will miss him terribly — I'm so excited to see what he'll do next." Indeed, Christopher would go on to star in other popular TV series, notably HBO vampire favorite True Blood and the political comedy Veep. Christopher even ventured into directing his own film with Dirty Movie (2011). Hollywood also held some choice roles for the talented actor as he starred in box-office hits such as Man of Steel (2013). Christopher also stars opposite Amy Schumer and Goldie Hawn in the mother/daughter comedy Snatched (2017) and is producing and acting in the upcoming TV movie Happy! about an hurt hitman who befriends a lively blue horse. Christopher has been married to production designer Doris Sherman Meloni since 1995, with whom he has two children: Sophia and Dante. Law & Order: Special Victims Unit co-star Mariska Hargitay is his daughter's godmother.